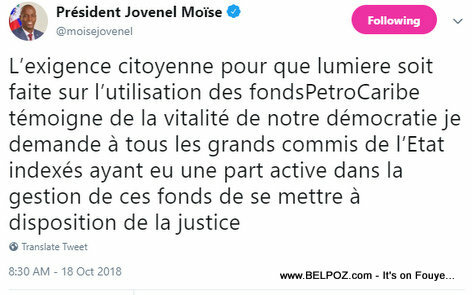 What is Jovenel Moise doing? 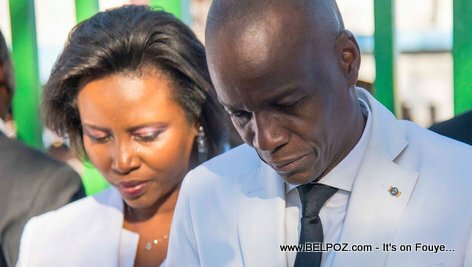 Here is a phoot of Haitian President Jovenel Moise ad his wife, first lady Martine Moise as they commemorate the death of emperor Jean-Jacques Dessalines in Pont Rouge - 17 Octobre 2018. 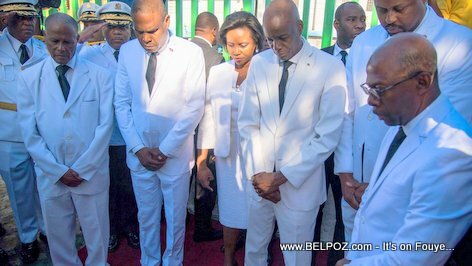 Look at this photo... Haiti President Jovenel Moise commemorates the death of emperor Jean-Jacques Dessalines in Pont Rouge - 17 Octobre 20178. 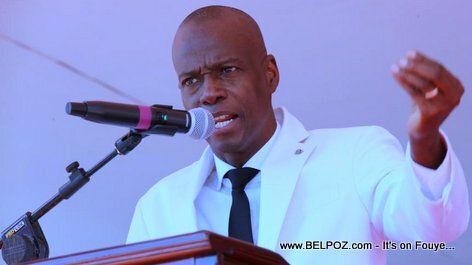 Here is a photo of Haitian President Jovenel Moise speaking in Marchand Dessalines, 17 October 2018. 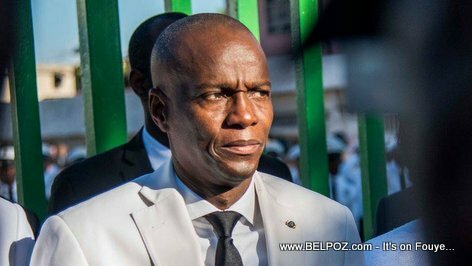 Haitian president Jovenel Moise went to Pont Rouge on October 17 2018 as part of the commemoration of the death of Jean-Jacques Dessalines, one of the forefathers of Haitian independence. 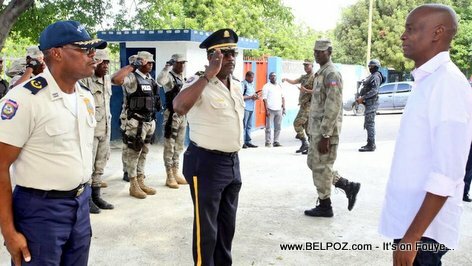 Dessalines was assassinated at Pont Larnage (now known as Pont-Rouge) north of the capital cityof Port-au-Prince on 17 October 1806. 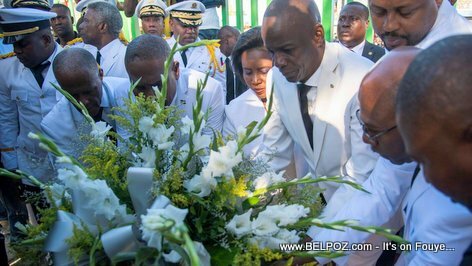 President Jovenel went to Pont-Rouge to deposit a wreath of flowers for the Emperor. 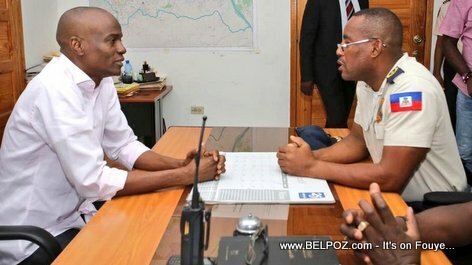 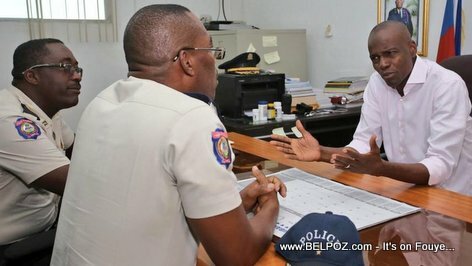 On Friday October 12, 2018, Haitian President Jovenel Moise visited the Commissariat of Petionville led by the Chief Commissioner (Commissaire Principal) Monelus Gospel. 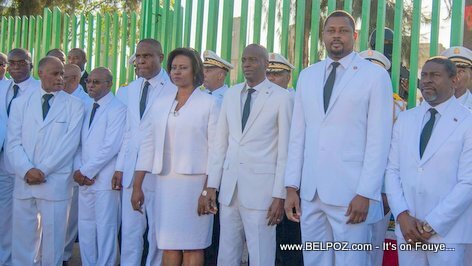 Mete Kanson President ou sou ou pou dirige!